What a treasure trove of stuff! You are the perfect person to get all that because you’ll not only appreciate it but use it. I’m looking forward to seeing what you make with all of your new toys. WOW – How did you calm down enough to write this post? I’d be on a Featherweight high for days – weeks, more likely! WOW!!! You hit the motherload, for sure! Enjoy!!!! WOW!!! That is a treasure. Wow! Score of the century! Congratulations! hahaha..oh, Cidell – all that’s missing is an inflatable dressform or something like that. How fun was that?! Glad you can find some breathing room. Mine comes after next week. It’s like you won the lottery. Don’t you just love a good surprise! Dang! Major Score! And the books tell you how to use all that cool stuff! Enjoy! The picture of the green Singer box almost brought tears to my eyes. 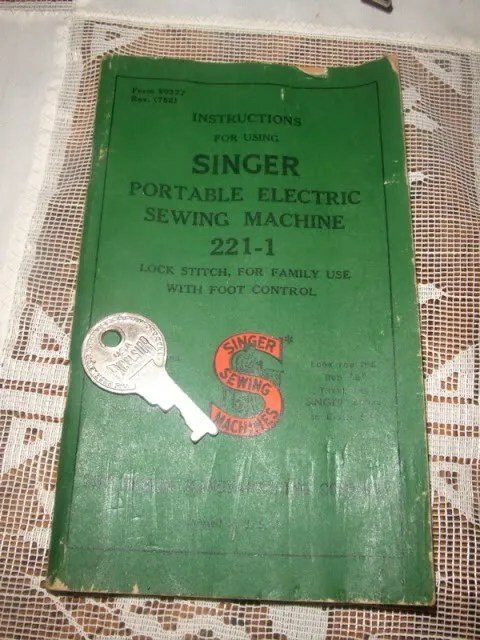 A pang of deep nostalgia for the Featherweight machine I learned to sew on, that once belonged to my grandmother. My sister uses it now I think. very cool! just took my machines in for servicing and was staring at the old refurbished machines on the display cabinet and thought of you (and your sewing machine farm as someone once put it. lol!) enjoy! Wow! 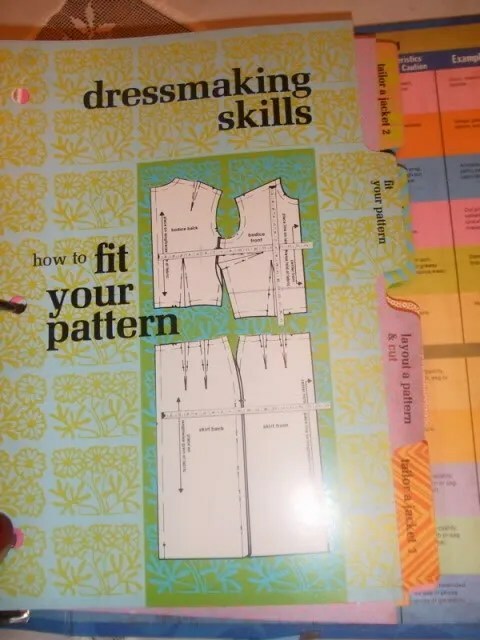 It’s a sewing goldmine! Have fun with all the new toys. You are a lucky girl to have someone send you such a luscious package of accessories! Enjoy! What a deal! And a treasure-as one has mentioned. I’m sure you’ve already told yourself “No way, Ebay.” Glad things are on the calm down for you. 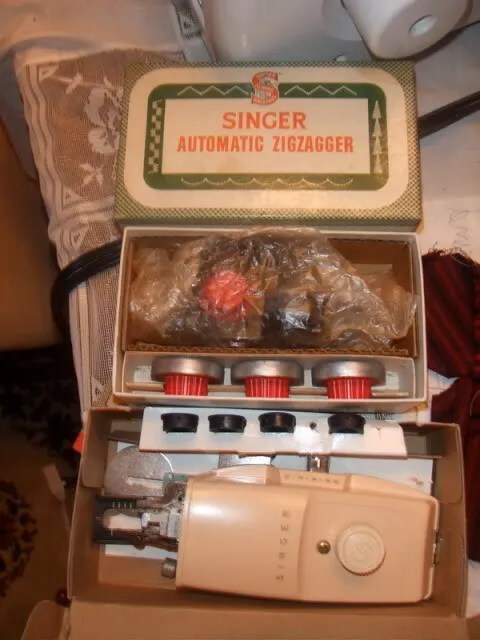 It looks like all the same stuff my mom had with her old Singer. Brings back memories! My greatest find was a singer mocha 301 for $15 (in a cabinet) at a second hand store. . .
Glad to see you’re doing well, despite being so busy! 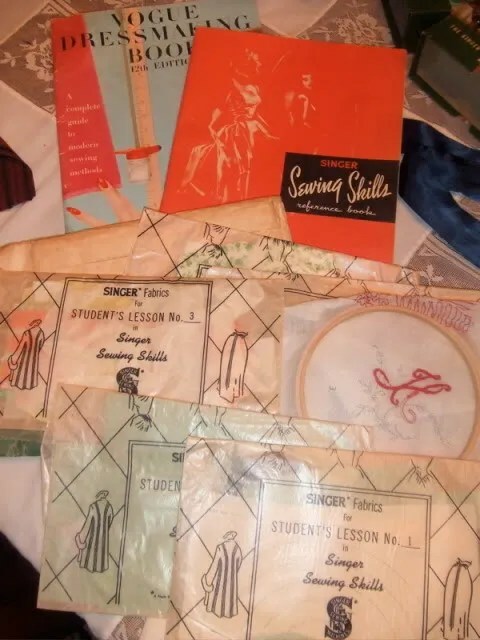 Hope you get time to sneak some sewing in somewhere! Wow! Good thing it’s you, and not me, or that party would be cancelled, and you’d find me on the floor in a sewing stupor after a weekend with all of that stuff! Man, I am so in envy of that ruffling foot you got, they just don’t make them like that anymore. Nowadays, the part that gets the most stress from holding the foot to the machine is made of PLASTIC! And it cost at least $60 for the foot! Mine has broken twice and is now beyond repairing. Highway robbery I tell you, I’m sure they do it on purpose! Oh, for the days of quality accessories!! Jackpot! You are so lucky!!! Lucky you! Those books must be so fun to look through — congrats! Wow! those are some great treasures. I will achieve personal Nirvana when I locate a Singer rug-making tool and instruction booklet. 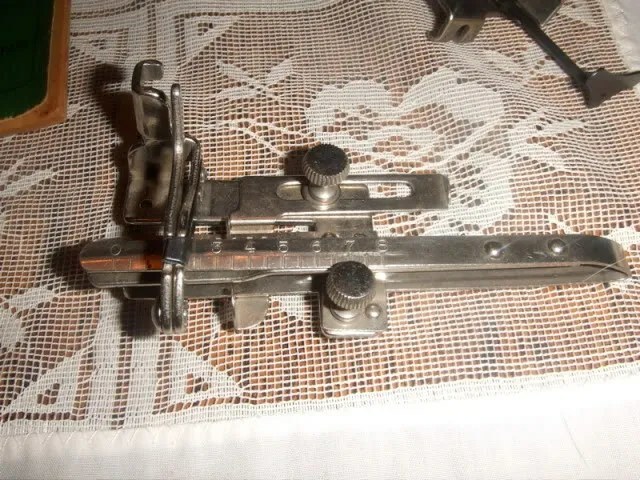 I found a featherweight listed on Craigslist for $420. It’s in mint condition with the box, all the attachments/accessories and the original manual. Do you think that’s a good deal? 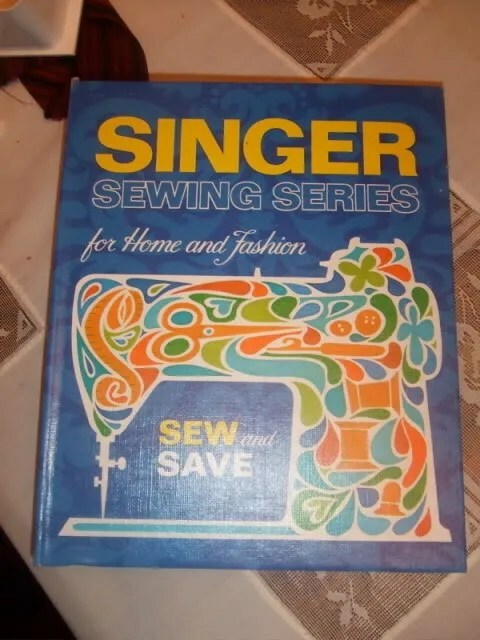 I see you’ve become your own sewing machine dealer over the last year, and thought maybe you could shed some light on reasonable pricing. 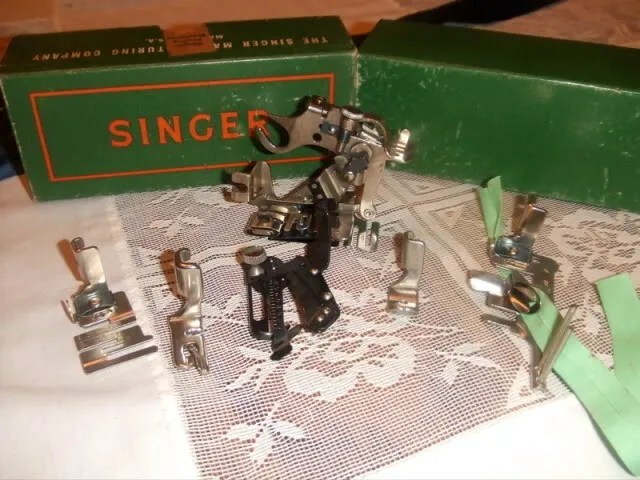 Out of all the machines you could have picked why the singer featherweight. What was it that made this machine so special,what can it do that other machines cannot?